How long do your products remain fresh? 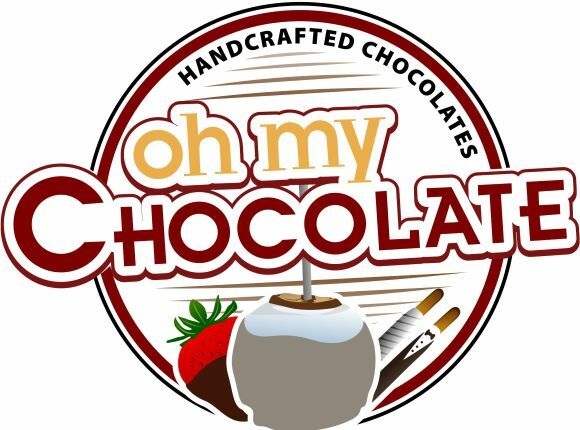 Why doesn't Oh My Chocolate offer plain caramel apples on the website? Caramel apples can be pretty messy to eat. Is there a way to enjoy them without the mess? Are your products safe for people that have common allergies or tolerance issues? Apples will generally remain fresh at room temperature for about a week upon delivery. If you intend to wait before serving a caramel apple, store it in the refrigerator so it will keep longer. Bear in mind that the freshness of produce is not a science, so it's best to enjoy your apple soon after its arrival. Refrigeration is recommended for our other products, as well. While most will keep for weeks or longer at room temperature, subtle changes in humidity and temperature can cause chocolate to bloom and certain toppings, like nuts, to dry out. You can eliminate these concerns by refrigerating our products in their original packaging. Yes, volume discounts are available on favor or buffet orders of 20 units or more. These discounts are substantial, but vary depending on the product ordered, its packaging, and whether it requires shipping or local delivery. Please call or e-mail us for volume pricing and we can give you an instant price estimate for orders of any size. Because our gourmet caramel is made from scratch, its creamy consistency remains for quite a while. This leads to a sticky surface perfect for adding toppings, but not perfect for shipping on its own because it sticks to the packaging. With this in mind, we cannot guarantee the same pleasing presentation possible with our topped apples, so we had to eliminate plain caramel apples from our online selection. The best way to serve a caramel apple is to slice it beforehand. It's important to note here that you should only slice your apple right before you plan to eat it. Once sliced, the apple will begin to brown rather quickly. Slicing your apple is very easy. Simply make cuts in a tic-tac-toe pattern about 3/4" from the stick, being careful not to cut too close to the core. This will leave you with 8 pieces (plus what's left on the stick), in a pleasing "blossom" shape that looks great in a small bowl. We do not recommend our products to those that have allergy or tolerance issues with common ingredients in our store. If you are allergic to, or have tolerance issues with, nuts, cocoa, caffeine, dairy, or any other ingredient commonly found in desserts, it is best to err on the side of caution and avoid consuming anything you have not prepared yourself. While we can assure someone with a peanut allergy, for example, that there will be no nuts in a certain product, the constant and common presence of peanuts in our kitchen and storefront could potentially expose any of our products to the "dust" and crumbs created when peanuts are cut, crushed, or sprinkled nearby. Someone with a severe allergy could therefore be exposed even when peanuts are not part of a given recipe.